Best Sign Supply Company Features the Best Selection! This Sign Supply Holds Standard Sized Paper! Buy Sign Making Kits Online Today! 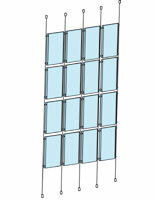 This sign supply is a brochure pocket designed for our cable display systems. 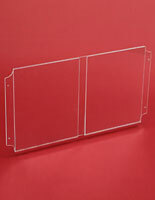 The clear acrylic brochure holder is designed for 8-1/2" x 11" spec sheets or tri-fold pamphlets. 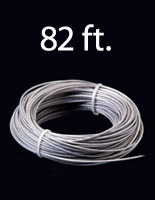 This affordable, wholesale sign supply is the ideal choice for every company with multiple product or service lines. 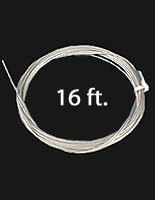 This adjustable literature holder can be used in conjunction with other elements of a cable display system, which allows for the creation of a unique advertising display. 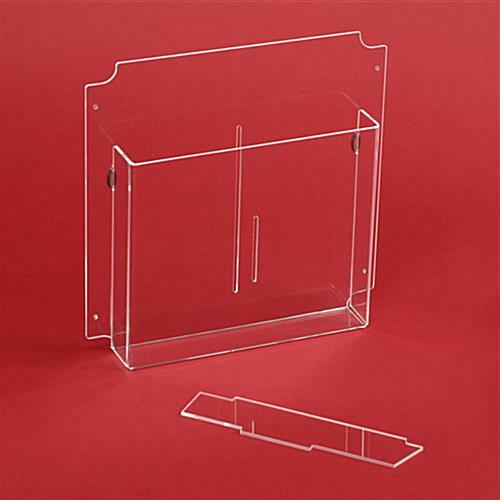 This sign supply includes a removable divider that changes the unit from a single pocket that holds letter sized paper to a dual display that holds tri-fold pages. The divider is held in place by o-rings that affix to the back of the sign supply. 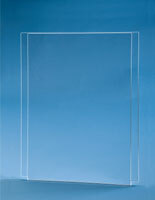 Buy these quality sign supplies online and showcase your products with style! 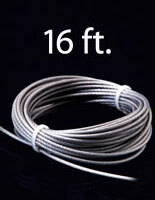 Our cable display system has 4 holes in the pocket corners that align with the cable sign holds (see photo at left). 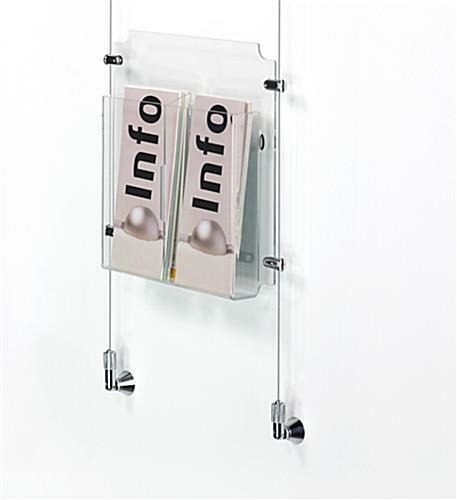 Connect multiple brochure pockets side by side in a typical cable display system to create a one-of-a-kind display that ensures easy and quick distribution of important information. Plastic sleeve with dividers only. Mounting hardware and cable not inlcuded. 11.0" x 11.0" x 1.8"